Obituary for Louise Agnes (Brisco) Jones | Henry Funeral Home, P.A. 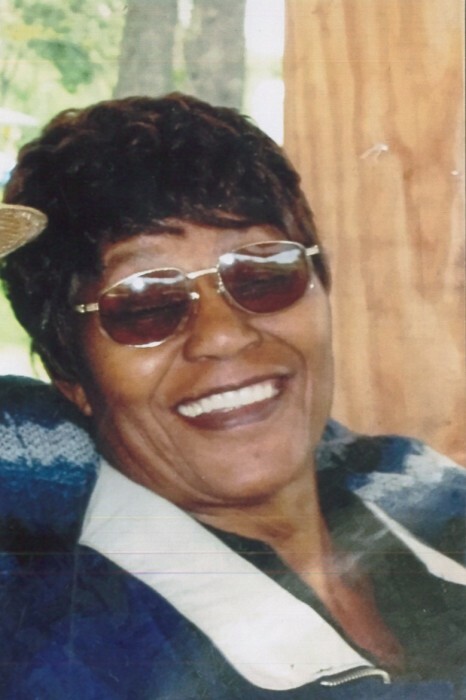 Mother Louis Agnes Brisco Jones, 87 of Cambridge, Maryland departed this life on March 25, 2019 at her residence. She was born March 24, 1932 to the late James and Effie Meekins Brisco in Meekins Neck Cambridge. Mother Jones was educated in the Dorchester County Public School system. After being raised in Dorchester County, Mother Louise met and married Wardell (Dock) Jones in 1952. Later, they moved to Baltimore and lived there for over 60 years. Mother Louise was a member of Holy Temple Church of Deliverance in Baltimore under the leadership of her husband, Pastor Wardell Jones. She enjoyed singing and beating the drums during service. Mother Louise loved eating at various restaurants. She also had a special love for cooking her famous dishes: macaroni and cheese, fried chicken, and potato salad. In addition to her parents, Mother Louise is preceded in death 6 brothers: James, William, Luther, Paul, Francis, and Allen Brisco; 2 sisters: Helen Dixon and Mae Johnson. Mother Louise leaves to cherish fond memories, her husband Pastor Wardell Jones of Cambridge; 2 sons: Wardell Jones, Jr and Cornell Jones; 4 daughters: Joyce Jones, Leena (Terry) Boone, Annette Stanley, Cyndoria Brisco all of Baltimore; a brother, Isaiah (Emma) Brisco; 2 sisters: Margie Wilkerson and Lillian Bisco both of Cambridge; 5 sisters-in-law: Clara Brisco, Ada Brisco, Jerlean Dockins all of Cambridge, and Margaret Jones of New Salem, New Jersey, and a host of nieces, nephews, cousins, other relatives and friends.